Locks and keys make us safe and secure – that is their purpose. However, there comes a moment in everyone’s life when you are faced with an emergency situation: your car keys are locked in your car, you’ve lost the keys to your house or office, you need to replace a door lock, you need to repair your ignition system, or you need to change your locks or rekey them. What do you do if such a problem occurs? We offer a 15 minute response time with our emergency locksmith services. At Quick Key Locksmith, we have a team of experienced & licensed professionals who can provide you with emergency locksmith services. Are your keys locked in your car, stolen, or lost? 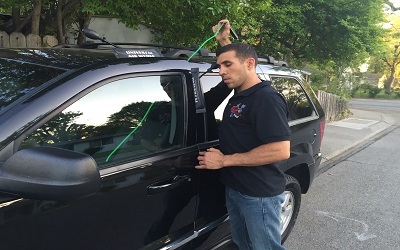 if you are locked out of your car, home, or office, we will respond right away, determine the problem, fix it, and make sure you get inside safely. Lockout Walnut CreekCar keys replacement – if your car keys have been stolen, broken or lost, we can replace them immediately. We are experienced in handling all leading car brands such as Toyota, Nissan, Ford, Chevrolet, Lexus, Hyundai, Honda, Dodge and more. Key cutting and duplication – if you are in need of new keys or duplicates, we can make these quickly and efficiently. Lock installation and repair – if you need new locks installed, or you have a lock which needs fixing, our lock experts will come to your aid. We supply, install, and repair all types of locks. Unlock or repair safes – if your prized possessions are in jeopardy due to a broken safe, or you are unable to open your safe for some reason, we will check & fix your safe to ensure that you are able to use it properly. Quick Key Locksmith offers 24 hour and 15 minute emergency response services in Walnut Creek, Danville, Concord, Lafayette, San Ramon, CA, and the surrounding East Bay Area. Call us now and a technician from our nearest service center will be ready to immediately assist you.